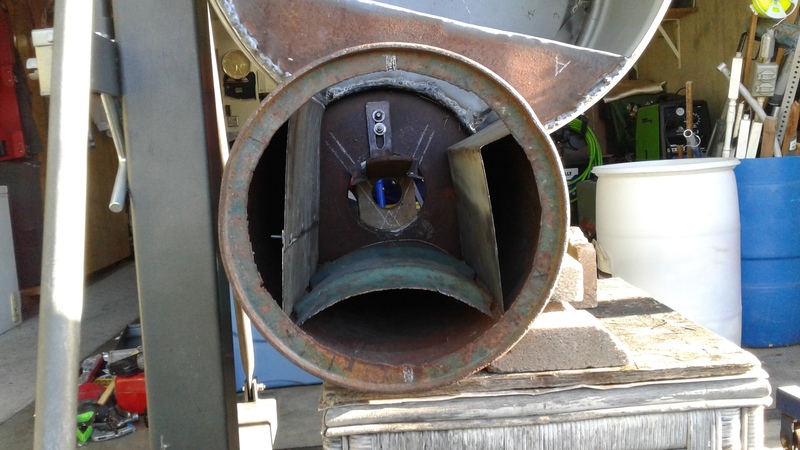 Okay, I have been working on on my Dark Side Gasifier. I have been stalled on it for months now, because of the heat problem it was going to cause in the main reaction chamber and being mounted on the back of a car. It was going to get hot on the legs if you open the trunk because the narrow space between gasifier and bumper. And did not want someone to get burned by it. Alas I have what I have so fix the problem. 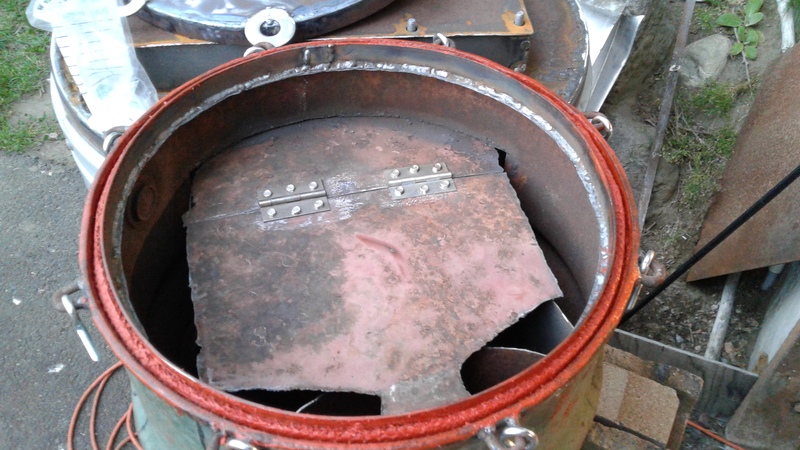 With some thick ceramic insulation and stainless steel shielding inside I think the problem will be solved. Pictures will follow. It is going to sport 2 cyclone filters and a hot filter mantle I have been working on. If the the slyclone filters and hot filter mantle work I will add them also to my Wood Gasifier truck. Hope to see resaults soon! I think there is no need to use cheramic blanket, unless you have a printer for dollar bills at home glass fibre unsulation with a ss sheald shuld be sufficiant. 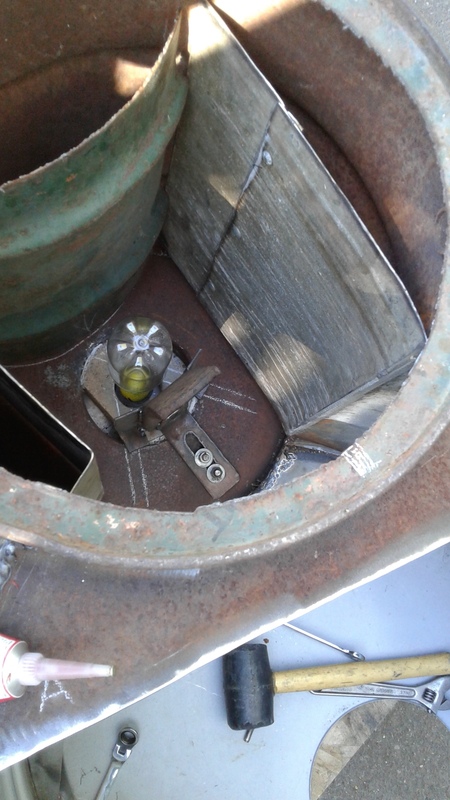 I am at the beggining of a new project, it has to be room temp to the touch at all times so we are in a similar situation l was thinking to put insulation around the whole gasifier, then a mantel around, with a half inch cavity between the two. Air will be fanned in the mantel to drain what ever heat might escape the insulation. Just catching up reading on this. Will be interesting alright. I and MikeG envy you a bit your good charcoalable fruit trees woods. One thing different about BenP’s Mustang car trunk unit and I think KhritijanL’s sealed-in-a-box units is they ARE gas-tight sealed away from the passenger occupied area. Please. Please, next show making a gas-tight wall about where the rear seat back would be. Way back when New Zealand’er Doug Williams says he almost killed himself putting a gasifier inside a passenger van body. One little leak at 20% carbon monoxide . . . . . The more I drive the Wood Gasifier Truck, the more fuel I will make for the charcoal gasifier. 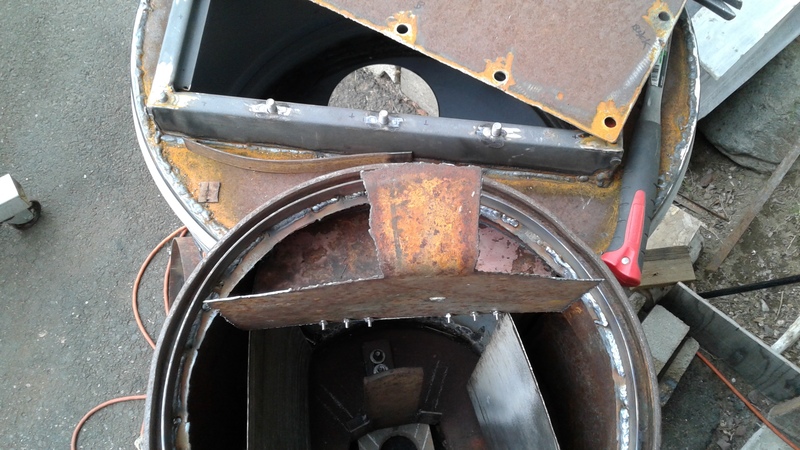 Just run it through my Trommel clasifier to remove the ash and it will be ready to burn again. Once it goes through the charcoal gasifier, the leftovers can go into the garden. If I am going to sweat over making my fuel I want to get every bit of energy out of it that is possible for gasification. Then put it to good use in the garden to grow food for the table. Nature’s cycle of live. Thank you for your concerns, it’s Wonderful to have friends that are looking out for you, and others. Glad to hear your dry period is over. Hoping it will rain alittle more. I should wait for Bob to reply but I am sure his intent is to have it mounted behind the car. One of the early videos shows how the hatchback will clear the unit. 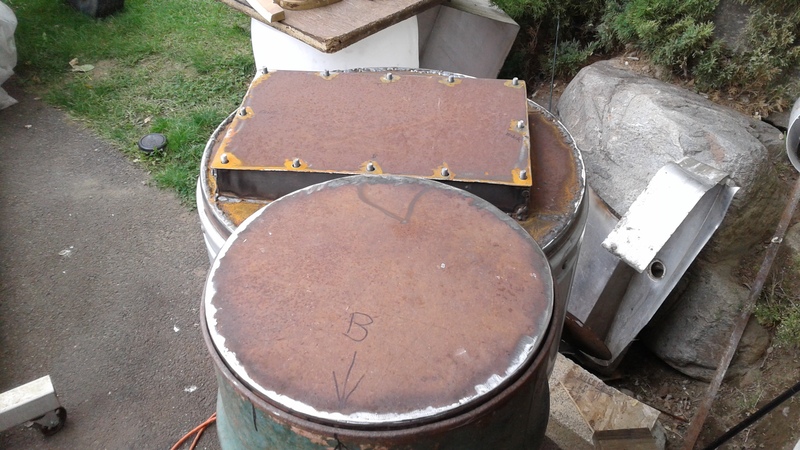 The stainless steel heat shields are in place. 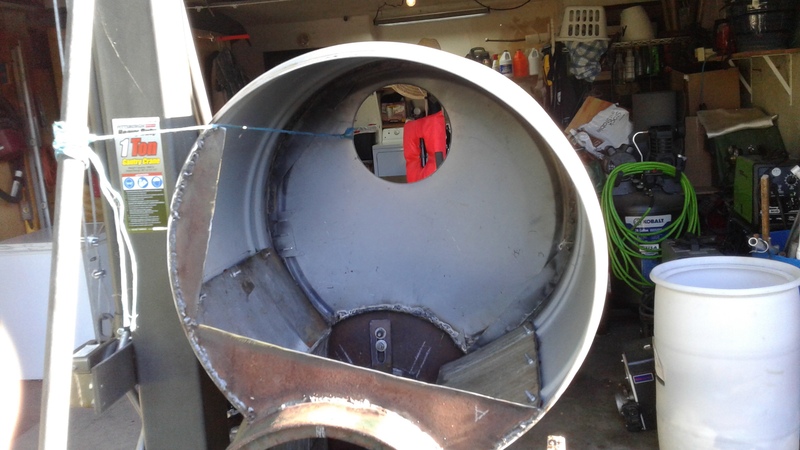 Next step is to finish the side access hatch area for inspection and working inside the gasifier unit. The plastic bottle resting on black pipe and yellow golf ball represent the fire lobe that will be coming from the nozzle. 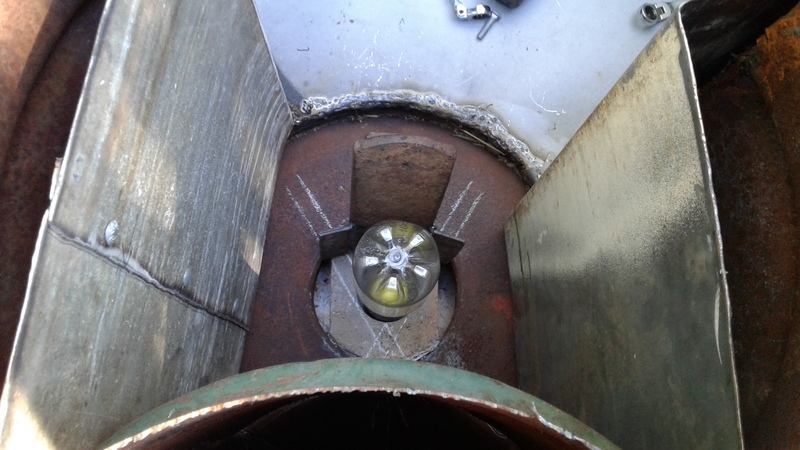 The heavy bar will block the charcoal and make it fall at 60* slope to keep the charcoal away from the nozzles. My nozzle is a nozzle inside a nozzle. Small one for idle and the larger one for power. Still working things out in my mind and on paper with the wood chunker, I want it to do more than just chunk wood. I want to move the chunk wood up on a conveyer belt and load on the hay bailer trailer for transport and then move off the trailer on a conveyor belt to the wood storeage crib for extra drying if needed. And I want it to still look like a Newholland bailer so I do not have to pay for licensing. Farm equipment No license needed. I can sure understand the lack of progress during the hot weather. We seldom broke 100 but 85+ was enough to keep me to a schedule of 1 hr out and 2 hrs inside. I have started an airport inspection project for about 2 1/2 months but after that I am definitely up for a DOW road trip. Maybe by then I will have a Ford throttle body and a way to drive it from the O2 sensor. Wheeew. Thanks for the clarification. I apoligize for the break in flow on your info’ing-up on your project. As a charcoal fueled system I had not been detailed reading along. I missed the outside vehicle mounting. Ha! Visit would be fine. Pre-call ahead as I will be superbusy out and abouts and may not be at the house most-days through mid-Sept. And late Sept/Oct the wife wants to take a week away. Glorious Fall is when we do our cross-Cascades stuff before the real snows fly. She wants to Crater Lake again. Hmmm. We will be down to only one dog by then . . . so maybe I can convince her to Chelan Lake for the boat-of-the-lake ride overnight. If so. I’d be asking to lunch-stop at your place, m-a-y-b-y. A new refrigerator magnet I just picked up - has a cat sitting on top of the head of a disgusted looking dog: "Women and cats decide. Men and dogs just have to learn to deal with it." The Lady of the Lake at Chelan is a beautiful ride. I have spent a week at a time up at Stiehekin at the north end of the lake. 142 miles Wenatchee to my house and 157 miles to Yacolt Wa. That sounds great. Now I just need to heal up. I had a little accident to day. Went salmon fishing up at Leavenworth on the Wenatchee River. Was there at 05:30 am . Around 09:00 I was stepping up on a rock to cast and slipped, hit the ground hard, didn’t break my pole which was good, but I was bleed on my left forearm. It funny that no matter how old you are, you fall at the same speed. It just the older you are, the slower you get back up. A few knocks and bruises and scratches and back to fishing . A hour or two later standing on the same rock , you guessed it , foot slipped and into the water I went. Fishing pole and all. Pole survive again but the handle of my pole hit big rock that I was holding in my left hand. When I came up out the water I was still holding to my pole. But my little finger at the second joint was dislocated, sticking at a right angle. I looked it over to make sure it was not broken, and grab it and pulled it into position. I figured if It was going to make me pee my pants, I was already in the water. OuCH. I kept the hand in the water for a few minutes to keep the swelling down and then I went up to the the truck to tape the finger up so it would not bend in that same wrong direction. Fished until 05:30 pm. The guys that I was fishing with both landed some nice fish, but it just was not my day. The hand is really sore, oh yes my body too. I wish rocks were as soft as pillows. But the burning question is did you catch any salmon? No Salmon, but just being out on the river was a wonderful time with friends, minis the falls and finger. A salmon is just a added plus. I need to tie up some more flies, at least I can still do that. Swinging a hammer and metal working has come to a halt for now. I was really making some good progress on my Charcoal Gasifier too. This will give me some more thinking time on my project to work out. Thank God it was just a dislocated finger, scrapes and bruises and no broken bones. In all things give thanks. 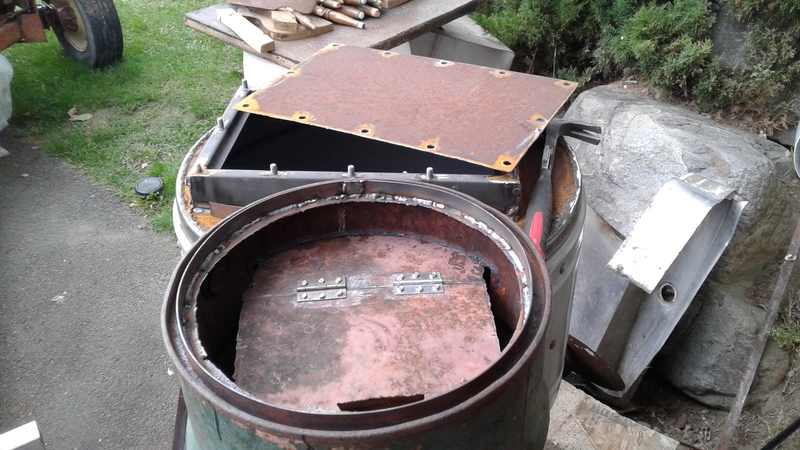 Been working on the darkside gasifier, sides are completed and lower part of the gasifier 80% done. Working on the cyclones for it, also the ones for the Dodge Dakota, five in all. 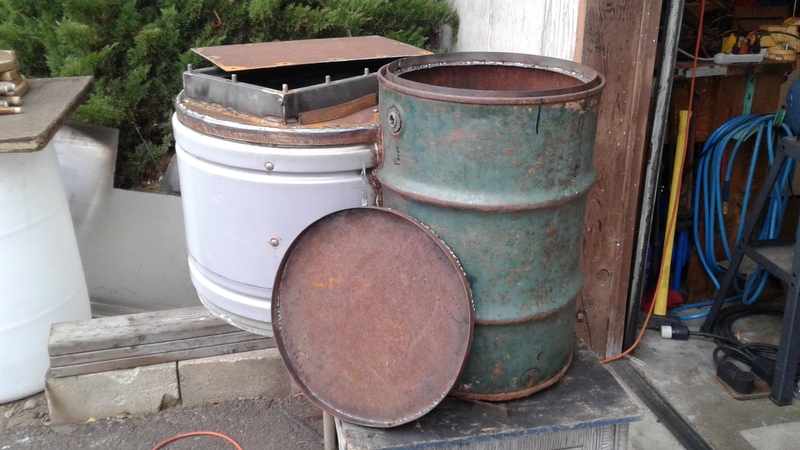 One cyclone will be for my unfinished wood or charcoal gasifier, for my genset. It has been nice working out side again, now the smoke has cleared up and you can see the sun brilliant yellow and not a dim orange, the moon is bright and stars shine at night. Also summer heat is gone, fall approaching. Hinge gate built to control the charcoal and built the seal for the end plate. 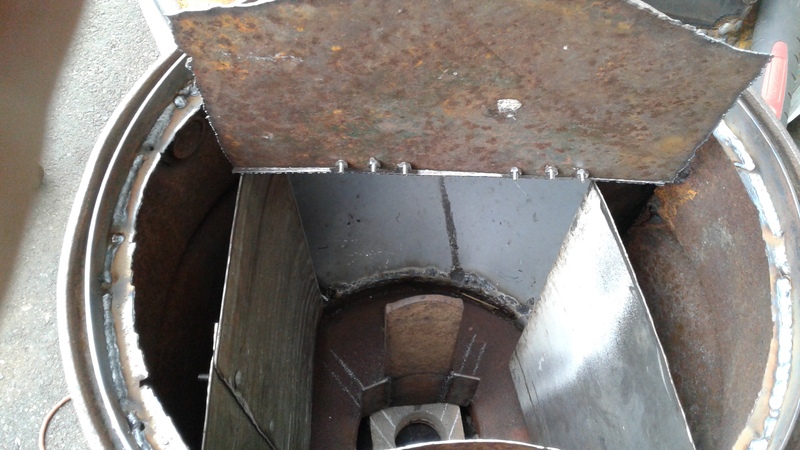 Inspection and maintenance hatch finished. 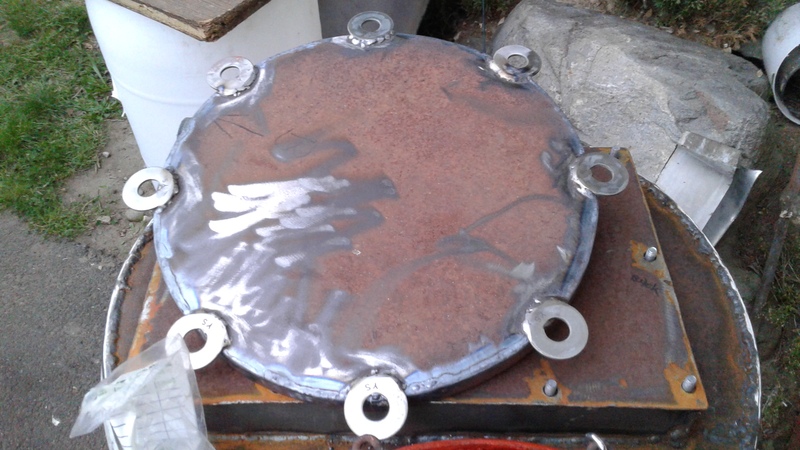 End hatch plate finished, just need to put some sloted tabs on the end plate, I bolts on the end of the barrow and Red high temperature siliconed stove rope in the groove and bolt it shut. Turn it over and fill it with water to see if it will leak. I know it will some where or wheres. 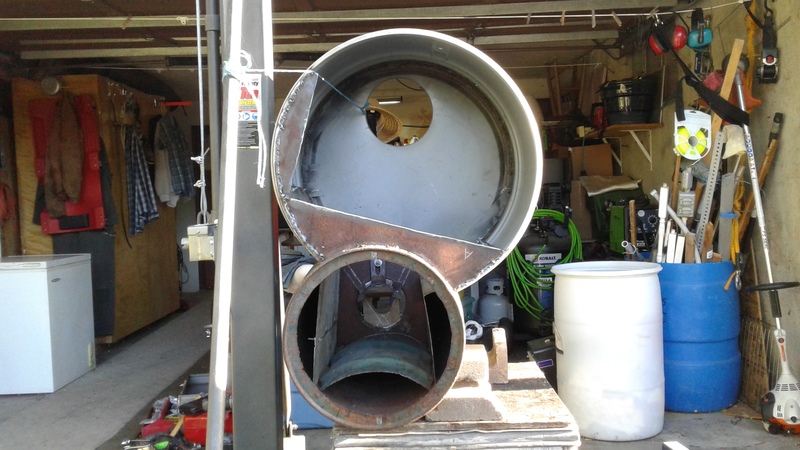 Yup B is for bottom, with this crazy looking gasifier it is easy to get things up side down. Just going further down the Dark Side Road. One more day going down the Dark Side Road To Gasification. Welded on some big washers for the I bolts to go though and tighten down with washers and nuts. Cut some chain links in half weld them on the barrow with the I bolts. Put the red high temperature silicone 1/2" stove rope in wet, and put polyvinyl film rap over it and bolted down the plate while using a rubber hammer to give it a good seal. Removed the end plate and ployvinyl film. It left a nice sealing grove. Letting it dry over night. 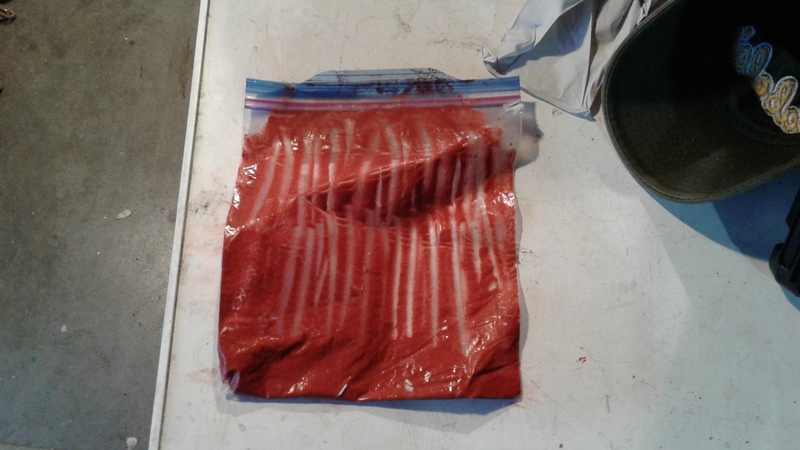 Putting the stove rope in a plastic freezer bag after cutting it to fit, and squeezing a tube of red silicone in the bag removing the air and then working ith my hands seened to do the best job for get the silicone into the stove rope. Tried to get a little out the bag after removing the stove rope not a lot left. 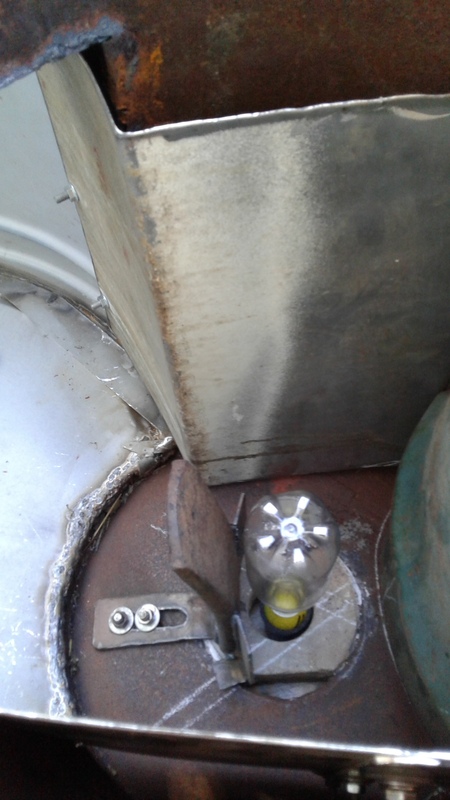 I also put a bead of silicone in the slot before putting the stove rope in, i want it to stay there and not come out. Day light is fading, time to clean up and put the tools away. Nice work. It is so much fun seeing your progress. I can hardly wait to see this little beauty all put together. I’m glad to see another charcoal rig that will add to our shared knowledge/experience of dark side motoring. Thanks Bruce, I’m hoping with the variable air flow nozzles, I will be able to run a small engine for generating or a 3.2 L or bigger engine. I still have to find another Subaru, Dana like my test vehicle so much she will not give it back. I might have to go out and find a newer one, then trade her for it. Ha ha. I had to smile at the big washers on the cover. I used some like those to fabricate some hold downs for my filter. It works well. Here’s how I did it. These are Print Screen PNG files, so the don’t enlarge when you view them. I’ll have to see if I can save them as jpeg files. Nice work and no tools needed to tighten it down. I book mark that idea, thanks.